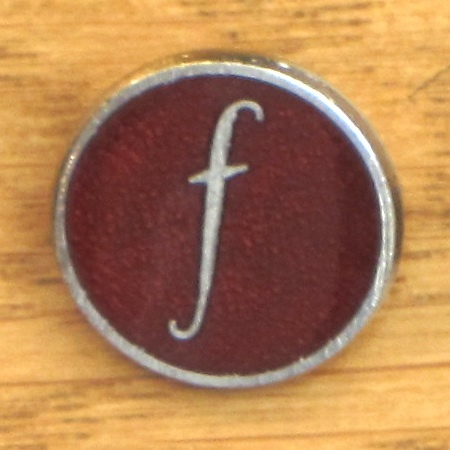 The first Factory badge from 1981 featuring Peter Saville Fractured 'f' logo. Fractured Music was Joy Division's publishing arm. This badge came in 2 editions: 400 maroon, 200 black which were manufactured by Johnson's Engravers, Leeds. With thanks to Mike Stein for imagery.